Well, it is officially ornament time and there are tons of great ones this year, but don't think that just because they are called "Christmas ornaments" that that means you have to celebrate Christmas to befriend one or that you have to put them away after the holidays! 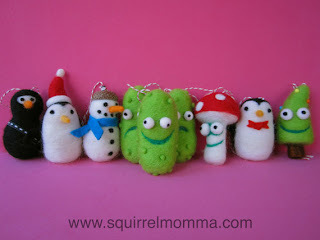 Many of these guys can "hang" with you all year long without looking the slightest bit out of place! 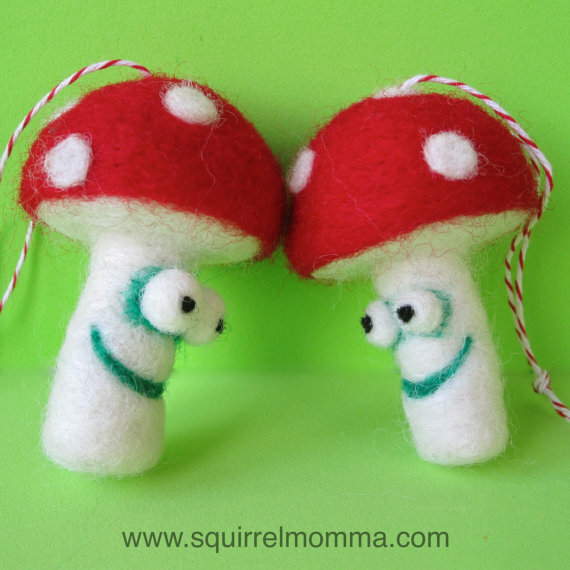 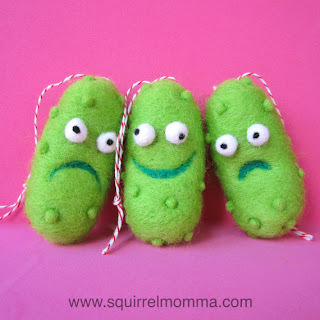 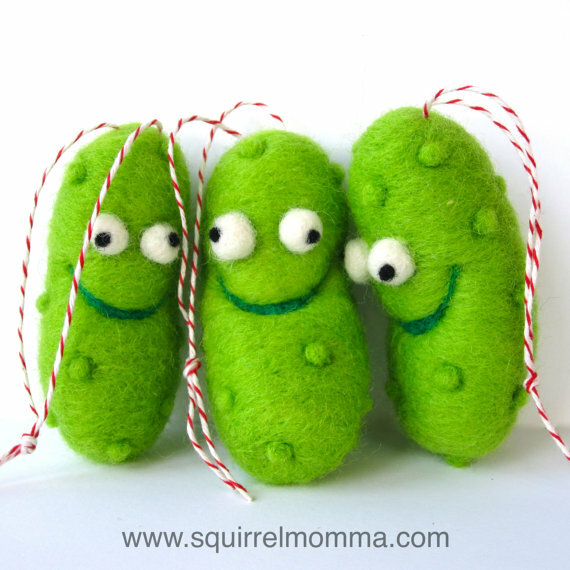 Take these delightful pickle pals from the spectacularly talented Squirrel Momma for instance. 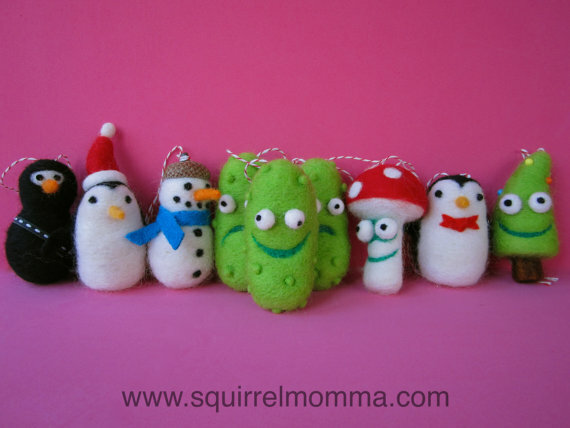 They would be perfect to keep you company in your kitchen (or car!) 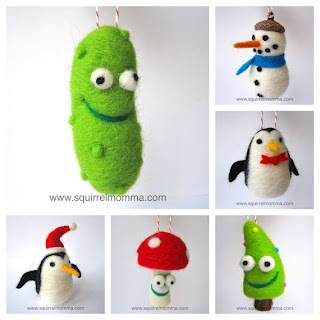 all year round!